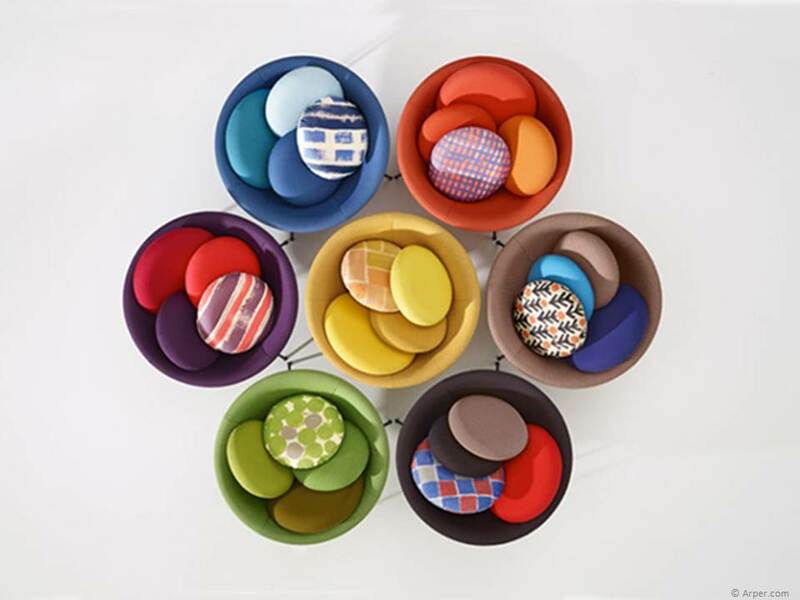 This week’s chair is one that could easily be at home at the latest Milan Furniture Fair, the Bardi Bowl Chair. Designed by Brazil-based Italian modern architect Lina Bo Bardi, it was accurately described as ‘futuristic’ when first launched in 1951. 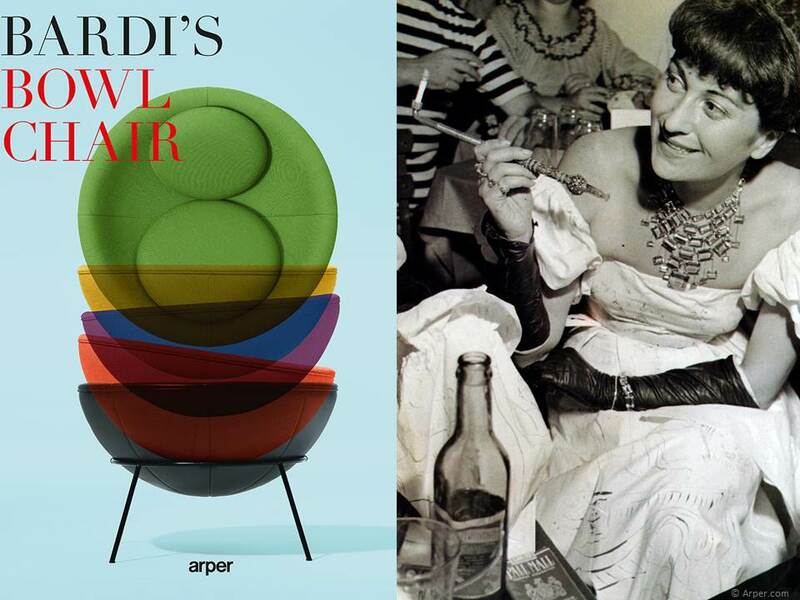 The Bardi Bowl Chair consists only of two parts – an upholstered shell and metal legs – with both pieces being unattached to each other leaving the seat free to move in all directions. 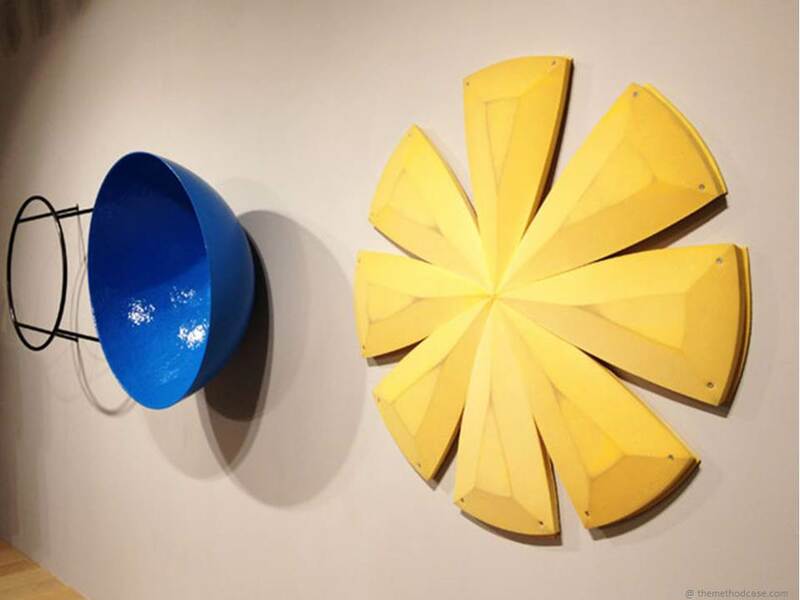 Bardi was a believer in mass productions and strived for simplicity and her designs. 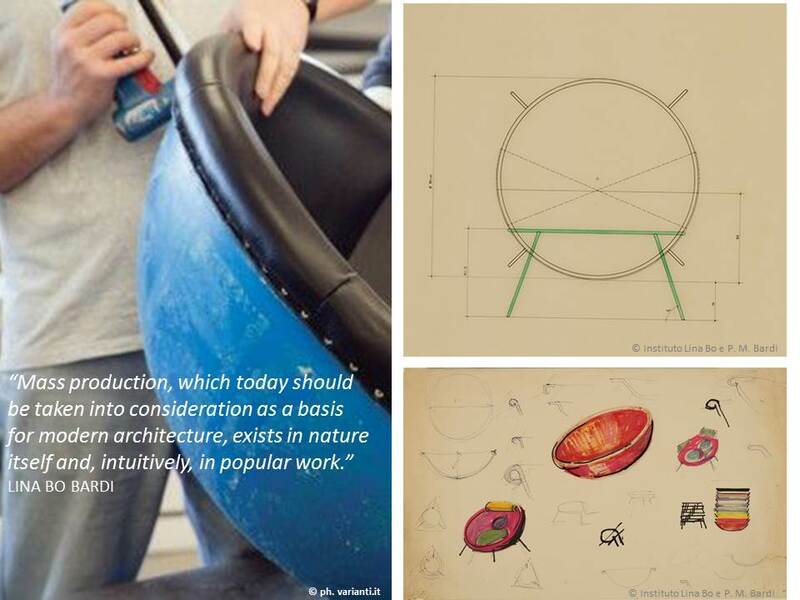 Bardi adopted a pioneering design approach to her Bowl Chair in that she designed a chair that adapts to people and not vise versa. 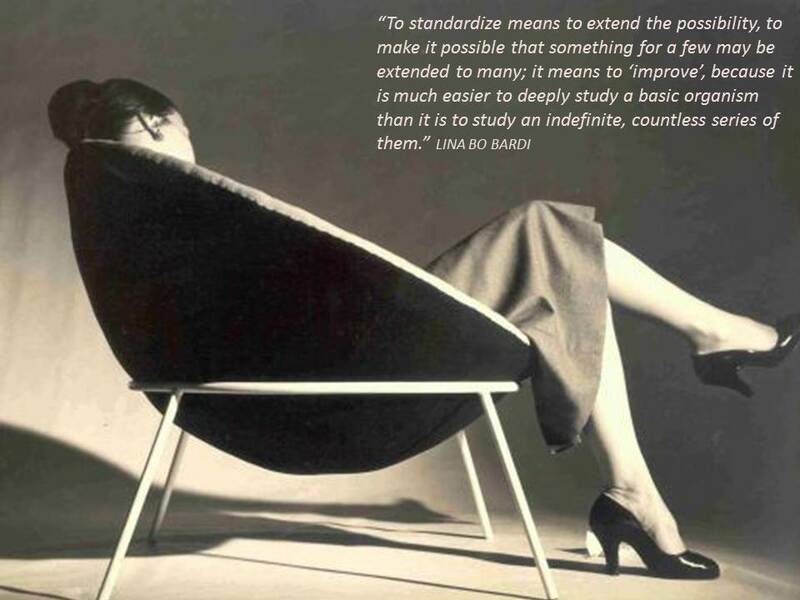 We applaud her radical vision which paved the way to a more ‘relaxed’ approach to sitting. The good news: Based on Bardi’s original prototype and sketches (although lacking measurements) Milan- based furniture manufacturer, Arper relaunched the Bardi Bowl Chair in 2014. To allow for better quality control during production, modifications were made to the shell material. Iron was replaced with plastic. 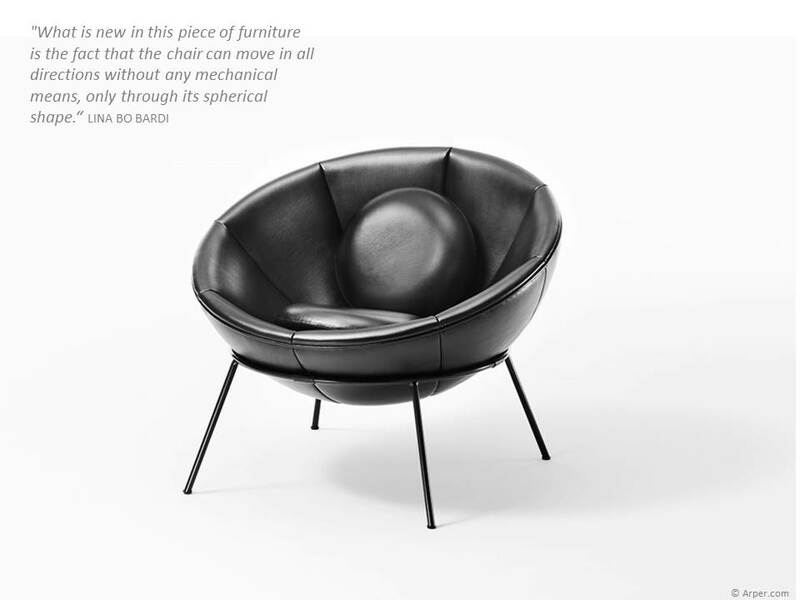 The chair is available in classic black leather or a range of coloureful fabrics and cushions true to Bardi’s original sketches. The bad news: Arper’s released a limited number of only 500 Bardi Bowl Chairs so they do come at a cost. Hopefully we’ll see another batch released in the future but for now we will be admiring this revolutionary wonder from afar.